The BERING C-Protect Air® is made of a softshell material with stretch panels on both sides. The C-Protect Air® is available in two different colour options, a simple and sleek plain Black or stand out from the crowd Hi-Viz and Black. 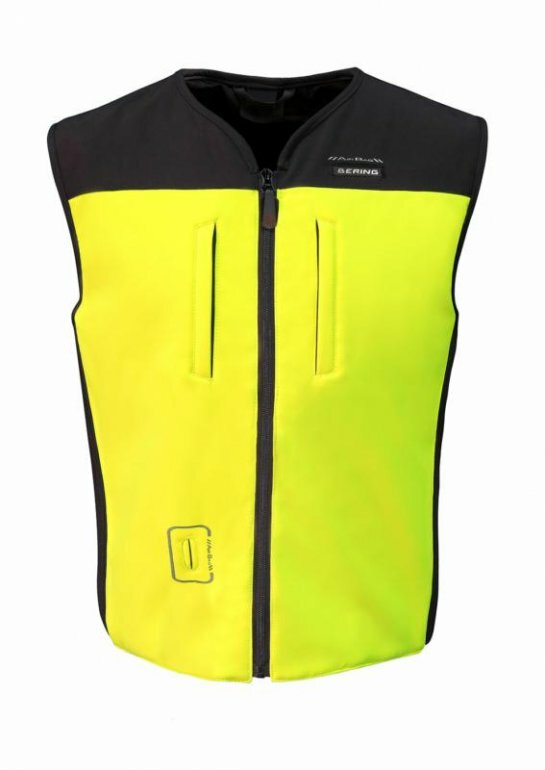 Both colours have reflectors front and back & there are 2 pockets on the chest of the vest. The C- Protect Air® is adaptable to a full range of jacket lengths as well as coming in two different sizes (S-L & XL-3XL). 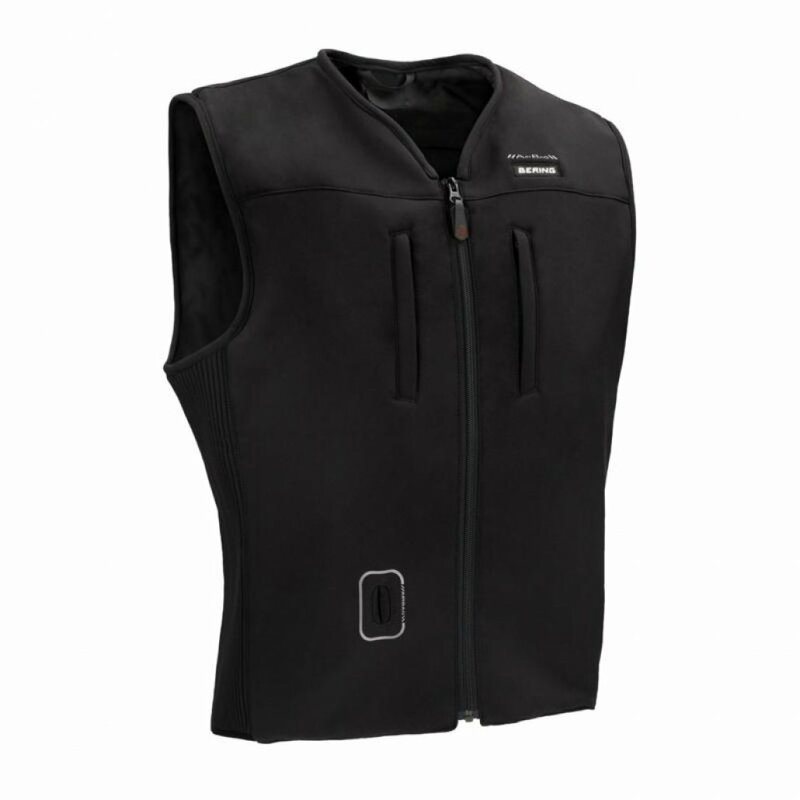 On the inside of the vest there is a level 1 back support along with the air bag itself that covers the Thorax, Abdomen and the full length of the back, from the Collarbone to Coccyx. The BERING C-Protect Air® uses a universal vehicle cable as it’s integrated activation device, meaning that the C- Protect Air® can be used on any and all bikes. Once the cable has been pulled the C-Protect Air® inflates in 0.1 seconds. After the Air Bag has been deployed and has deflated you can change the CO2 Cartridge ready to use again. The BERING C-Protect Air® comes with a UK exclusive 3 year warranty.